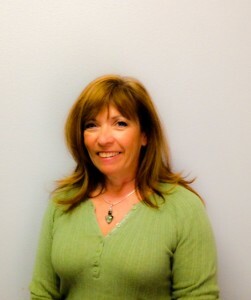 Mary Lou Brigham is a licensed, certified massage therapist with over 12 years of experience. She is a graduate of Healing Arts Institute in Fort Collins. She has advanced training in Neuromuscular Therapy Active Release Techniques. Mary Lou believes in freedom of movement and the body in motion. She hopes to help you on your path to health and wellness. Whether you want to clear the lactic acid from those tired muscles, loosen stiff joints, work out some tight knots, or just want to indulge yourself in a relaxing, stress-free environment, massage has exactly what you need to accomplish this and much more. Barb Shannon is our resident Massage Therapist here at Lovleand Athletic Club. Barb has been a bodyworker for over 20 years and loves every minute of it. She has studies many modalities in massage and has taught massage for over 17 years! Aromatherapy is incorporated into each of her massages (if you like) to give you even more benefits from your session. She truly enjoys sharing her talents and knowledge with others. Barb’s Classic – Combination of Swedish and Deep Tissue, excellent for relaxation and to work out those specific areas that need a bit more attention. Knotty Knots Massage – More intense massage for a specific problem area(s). This style will involve some movement(s) from you, but the end result will be worth it. La La Aromatherapy Massage – Hypnotic, rhythmical, balancing massage. Outstanding for stress and to aid the lymphatic system. Guaranteed La La. Shhh-iastu – Shiatsu style massage, performed with your clothes on, working specific points (tsubo’s) to achieve relaxation and beyond. Awesome Abhyanga – Specialized warm oil friction massage that aids in detoxification, and has an energetic/calming effect on the entire nervous system. A truly unique massage. Pregnancy & Chair Massage – also available Choose the one that suits your needs today.